LEFT: Kukriniksy sketch of the down-at-the-heels Prisypkin. 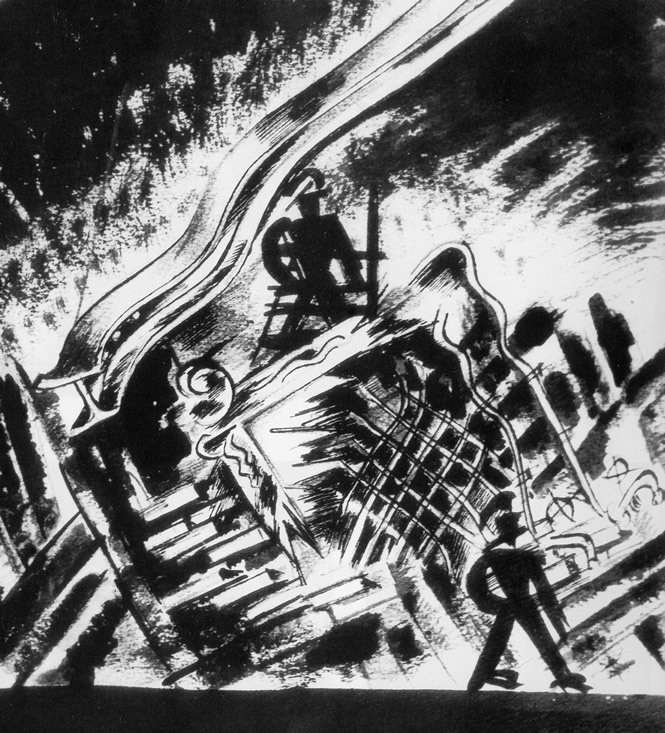 LEFT: The final Kukriniksy design is for the fire that brings the first half of the play to a close. RIGHT: For the second half of the play, in which the action istransferred 50 years into the future, Meyerhold engaged Alexander Rodchenko. 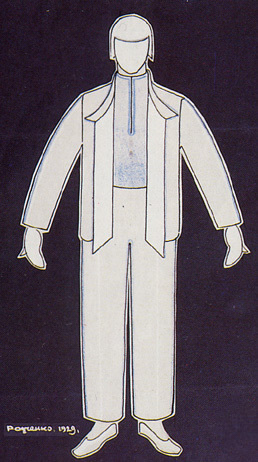 The photograph depicts Prisypkin, still wearing his 1920s tuxedo, being unfrozen. 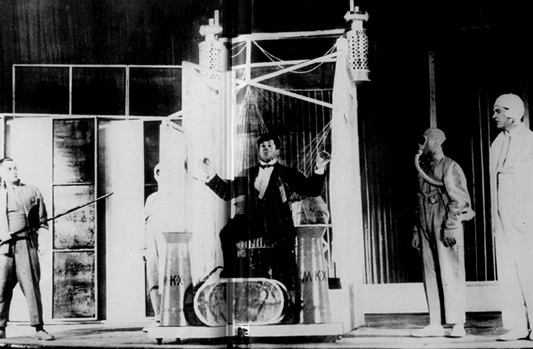 RIGHT: At a rehearsal of The Bedbug in 1929. Seated, Shostakovich and Meyerhold. 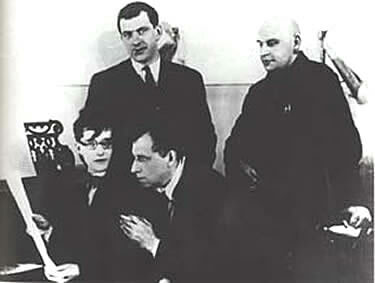 Standing, Mayakovsky and Rodchenko.